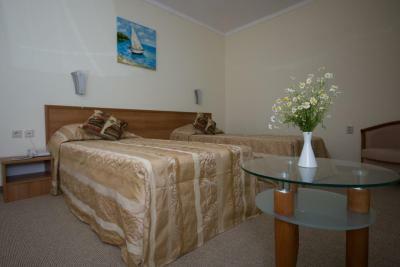 Lock in a great price for Hotel Lalov Egrek – rated 8.7 by recent guests! 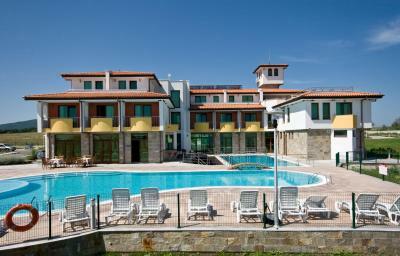 Great location, very nice pool, great for relaxing holidays! The small private beach is a wonderful facility! Very quiet place, isolated from the noise and crowd of the main resort in Lozenets. 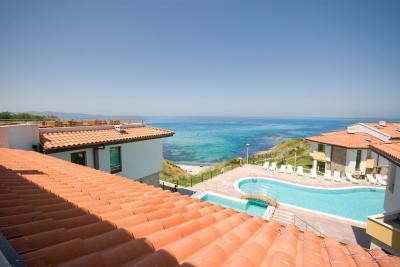 Big room, well furnished, with comfortable beds and nice terrace. 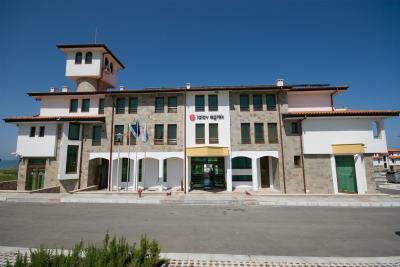 It was all perfect due to the hotel facilities and the professional attendance of the hotel employees. The beach is very small, but water is super clean. Nothing to complain, The place is so nice to relax after a day out on the beach. Hotell vas in very quiet place little bit out of village , lot of children so it is good place to stay with children. Good place just to lay in the beach and do nothing. Красивая бухта. Отдыхающих на пляже немного. Приятный персонал. Чисто. Hotel Lalov Egrek This rating is a reflection of how the property compares to the industry standard when it comes to price, facilities and services available. It's based on a self-evaluation by the property. Use this rating to help choose your stay! Located in the Lalov Egrek holiday village 0.9 mi south of Lozents and 2.2 mi from Tsarevo, this hotel is at the sea shore and the Oasis and Arapya beaches. 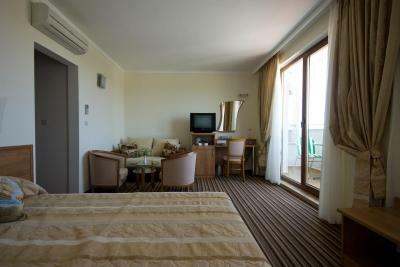 Hotel Lalov Egrek offers air-conditioned rooms and suites with cable TV and mini-bars. Free Wi - Fi and free private parking are provided. 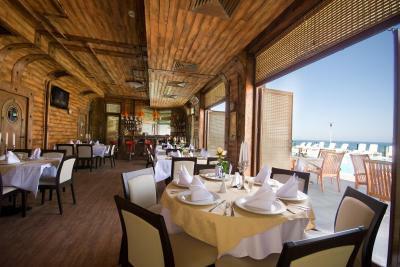 Guests can dine at the Paluba Restaurant and sip refreshing drinks at the panoramic Mostik Bar or the Peshtera Bar. Lalov Egrek Hotel houses the superb Angel Divers diving center, which is certified by the Professional Association of Diving Instructors (PADI) as 5-star category. When would you like to stay at Hotel Lalov Egrek? Air-conditioned room with a TV with cable channels, a mini bar and a balcony. With a seating area with sofa as well as air conditioning, a TV with cable channels, a mini bar and a balcony. House Rules Hotel Lalov Egrek takes special requests – add in the next step! Hotel Lalov Egrek accepts these cards and reserves the right to temporarily hold an amount prior to arrival. If you want access to bigger beach you have to walk by the street. You can't walk straight from the field, because there are a lot of private homes and fences. Personal in reception vas not helpful at all, first she couldn’t clearly explain how to get us from airport to the hotel, then she hade no idea where we can rent a bicycle. They didn’t clean rooms at all only changed towels and linens, we stayed there 10 days so you can imagine how bathroom looked like. The Beach was privat but it belongs allso for people who have apartments near hotel so there were many plank-beads and stufs of those people so vi could not find place for us there, and there were no plank- beads witch belongs to hotel so we lay down on towels. Wather in pool was too cold so me and my dother were sick after few days. Can't complain, we had a great time. .
Only 2 umbrellas on the swimming pool. After the 3 day... the umbrella become only 1 (the other broke). So it was quite a chase with the guest who will catch the only one umbrella left. On the beach on the sea there were only 1 umbrella and 3 sunbeds.